Take the fear out of a visit to the doctor with this lovely novelty book! 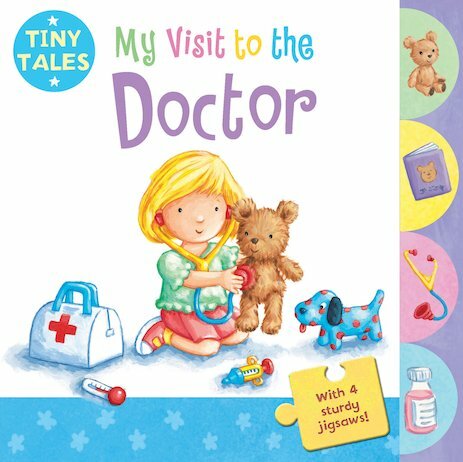 Combining charming pictures with chunky tabs and simple four-piece jigsaws, it shows very young children what they might expect on a typical visit to the doctor’s surgery. Letting tots explore interesting details like stethoscopes and waiting rooms, the story leads to a reassuring ending which soothes anxieties. A great way for little ones to resolve their worries as they solve fun jigsaw puzzles! Hugless Douglas Finds a Hug! Is it Bedtime Wibbly Pig?